Join us and help the restaurants around Mikszáth tér (7 places) to become more environmentally friendly! The restaurants committed to spend a certain percentage (50-200%, see below) of their income that day on green developments. Come and drink one for the Earth! 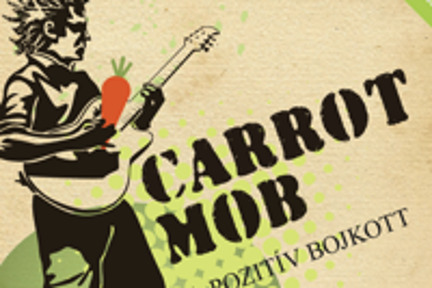 All Carrotmob sales went to improve energy efficiency and fight climate change. Fiktív pub devoted 50% of sales to improving insulation and lighting. Zappa Café devoted 50% of sales to more efficient insulation, lighting, and furnace. Leonardo Pizzeria devoted 50% of sales to installing motion sensor lights in toilet and other lighting improvements. Vostro devoted 50% of sales to lightning efficiency.